Welcome to the Keycard Battle guide! We will be breaking down the keycard battles for you. You can only do them once you hit player level 52 or higher. 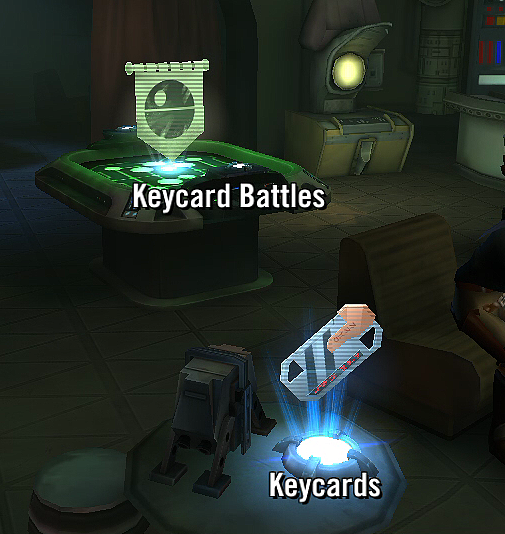 What is the Keycard Battle? It is a map where you can farm training and mining droids. You will need to retrieve keycards daily. You get 1 credit keycard and 1 XP keycard daily. They refresh upon the daily server times. The credit keycard unlocks Profit Mining for 1 hour. It requires 50 energy to do 1 round. There are currently 2 tiers. The second tier unlocks once you hit level 65. The XP keycard unlocks XP Mining for 1 hour. 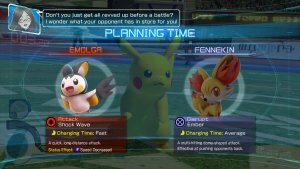 It requires 50 energy as well and has 2 tiers, with the second unlocking at level 65. Now you only have 1 hour to do it. That means you will need to use energy refills. The first 2 energy refills will cost 100 crystals total, which is doable for most f2p players provided you do it every few days. The question is – is this keycard battle worth it? I personally think it isn’t since the current setup of the game requires that you to farm shards, gear items and also farm squad cantina. That will take up most of you resources. Granted that you get 100k credit from the tier 1 profit mining map, you are far better off with doing hard mode and do the daily challenges for credits. So, the Profit Mining Keycard battle isn’t worth it. On the other hand, XP Mining is worth it at higher levels. Why? The reason is simple. Once your characters are at 50+, the cost of leveling them becomes insanely expensive. If you use low level training droids, it will cost more energy per run. Farming XP mining droids gives you 3-5 star training droids. On average, you get three 1/2 star training droids per campaign map. That’s about 30 or so in 60 energy. Now if you do the 50 energy XP mining map, you get roughly 5 high star level training droids. You get more experience per energy. If you have used 1-2 star training droids, you will notice it takes a considerable amount of energy to upgrade a character by 1 level at 60+. So, for late game players, this map is worth it. When you are starting out at player level 52, you are still far better off doing regular campaign maps. It is only when you hit 60+, you should consider doing XP mining. It is also much better to level only 10 characters to max player level at the beginning of the game. This is because at later levels, you will run out of credits very easily, especially if you keep leveling different characters. By only leveling 10 characters, you won’t spread out your credits too much. Conserving the credits for your best characters is vital to your end game success. 5 for the light side and 5 for the dark side is a great balance here. Once you have gotten both light and dark side teams to 60, then you can consider getting some substitutes for each map. Keep that in mind!